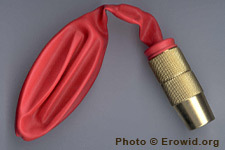 Nitrous Oxide is an anaesthetic gas best known for its use in dentistry and as a whipped cream propellant. It is widely available and its effects are short lasting. Nitrous Oxide is not the same as Nitric Oxide. Nitric Oxide is a poisonous gas. Does old racing nitrous oxide degrade over time? Is automotive nitrous oxide safe for human use?